We waited 18 years for this? Given his legendary status, you’d expect a passion project like this to be brimming with, well, passion. Instead, it’s an alternately sweet and sour Hollywood yarn revealing an insider’s knowledge as well as some dusty tropes. Taken on its own, it’s a fine anti-Oscar season antidote. Bring in the inevitable context, and it’s surely a disappointment. Beatty plays Howard Hughes, the reclusive billionaire hiding behind his aeronautical projects and a robust Hollywood career. He’s as idiosyncratic as we expect, and yet off-screen Beatty insists this isn’t a biopic by any stretch. “Rules Don’t Apply” isn’t even Hughes’ movie, really. The film stars Lily Collins as sweet, overwhelmed Marla, a starlet in training. She’s snatched up by Hughes’ production machine. She’ll be a star someday if only she’ll wait for the proper instructions. Alden Ehrenreich (“Hail, Caesar!”) co-stars as Frank, one of Hughes’ underlings tasked with driving Marla around until she is summoned up to the big leagues. Naturally, the two connect even though it’s against company policy to fraternize with any Hughes protege. Sparks fly all the same, but Hughes may have other reasons to keep Marla around besides the alleged shot at fame and fortune. Beatty keeps himself off-screen for much of the film’s first act. He’s teased, and suggested, which befits both the mystery behind the real-life Hughes and the actor’s long screen absence. Beatty’s last directorial effort, 1998’s “Bulworth,” delivered a stinging attack on politics with a large dose of humor. Here, he’s making some quiet statements about faith and how the ‘60s put a serious dent in sexual modesty. Beyond that, it’s a frisky rom-com spiked with real world gravitas. And that’s part of the problem. Beatty’s Hughes is an oddball, a man whose wealth lets him shape the world as he sees fit. Yet he’s also horrible to his employees and downright cruel to Marla at times. Yet we’re supposed to see his lovable side all the while. Isn’t it funny how he barks orders for his favorite ice cream flavor? Yes, but it hardly makes him worth our sympathy. Beatty does find some humanity lurking within the recluse. The narrative’s bookends wonder if Hughes is mentally fit enough to make a public appearance of sorts. The actor does his finest work of the film here, capturing Hughes’ fragile mental state. Suddenly, it doesn’t matter how rich or famous he might be. The film’s tone is uneven yet assured, if that makes sense. The comedic moments don’t disguise themselves as anything but pure froth. It’s just that Beatty the director didn’t do his casting homework. It’s easy to see how Ehrenreich’s career will spike with or without that Han Solo feature. He’s old-school handsome and he can smolder on screen when asked. Collins simply lacks the star power a movie like “Rules Don’t Apply” demands. She’s shy but not a pushover, and yet she doesn’t radiate charisma at any point. She’s as demure as her character in a movie that requires much more. Beatty’s ring rust occasionally dings the narrative. Too many times we see objects dropped or shattered, a lazy comic tic. The auteur’s vision of Hollywood is similarly gauzy, lacking the crisp satire other filmmakers might bring to the screen. And yet “Rules Don’t Apply” is never dull, and at times its old-timey feel is heartening. Here’s a Hollywood legend trusting us to follow a story with real characters and consequences. It’s patient but not doddering, and Beatty’s hand is to blame. “Rules” boasts a sublime supporting team including Annette Bening, Matthew Broderick, Candice Bergen and Alec Baldwin. Beatty opened up his Rolodex, and in they came. Together, they add gravitas but not quite movie magic. At 79, the notoriously deliberate Beatty may not have another story he’s itching to tell. That’s a shame. “Rules Don’t Apply” is hardly his best effort. It’s still oddly endearing, a sign of a storyteller who trusts his audience and follows his own quizzical rules. 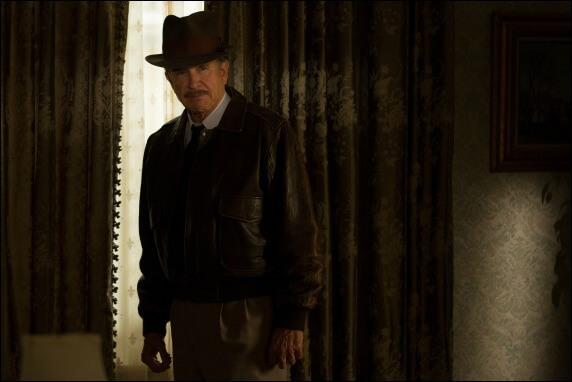 HIT or Miss: “Rules Don’t Apply” isn’t the career capper Warren Beatty fans might expect. Instead, it’s sweet and soulful between a small wave of cinematic flubs.